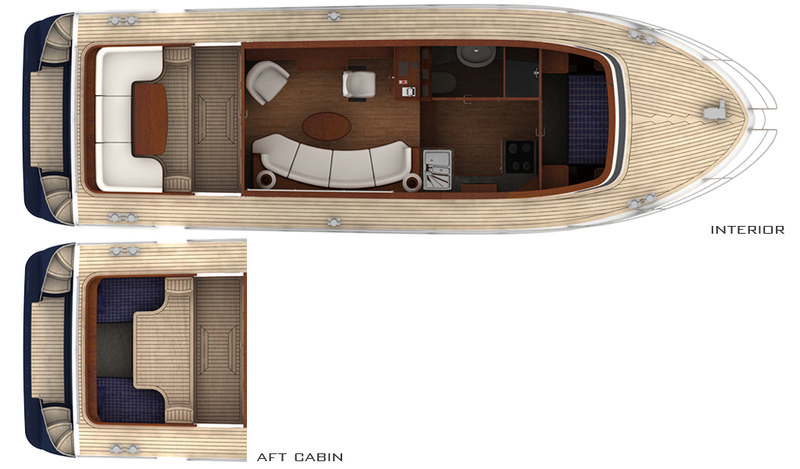 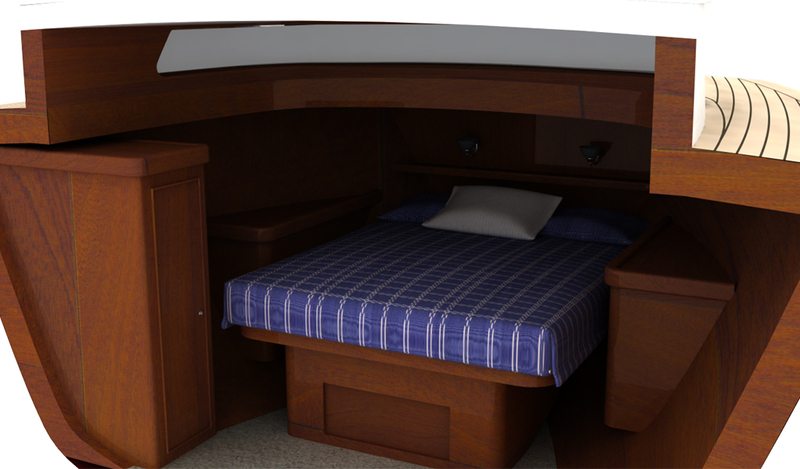 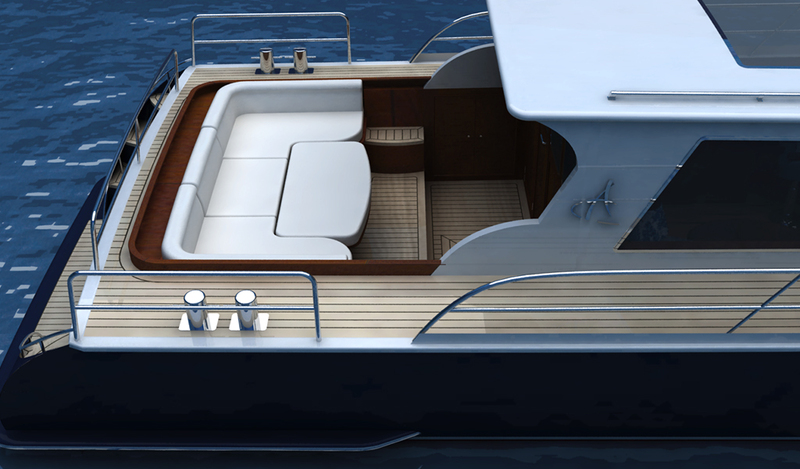 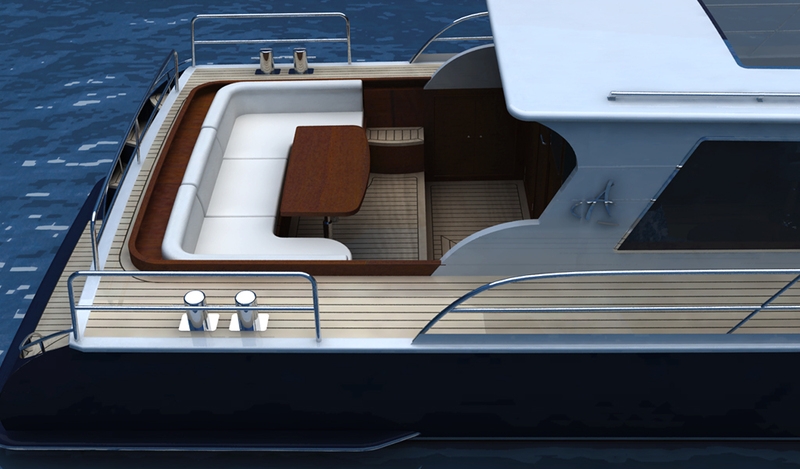 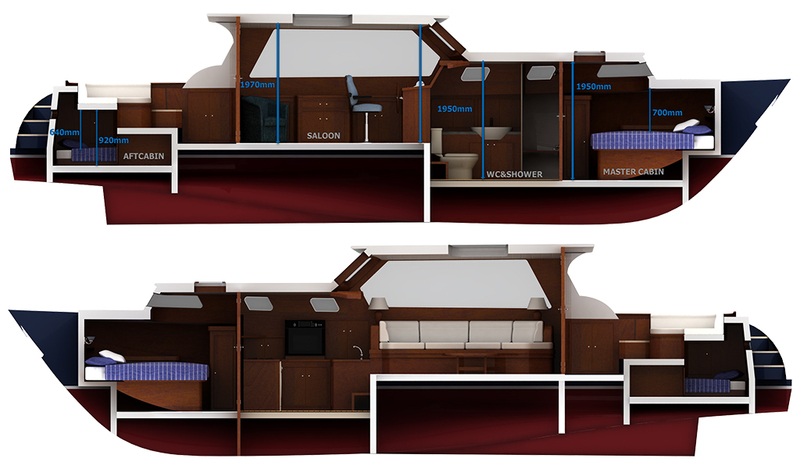 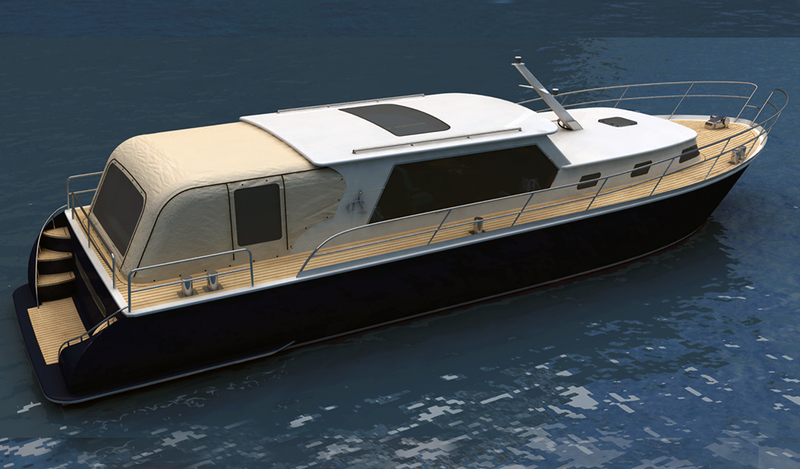 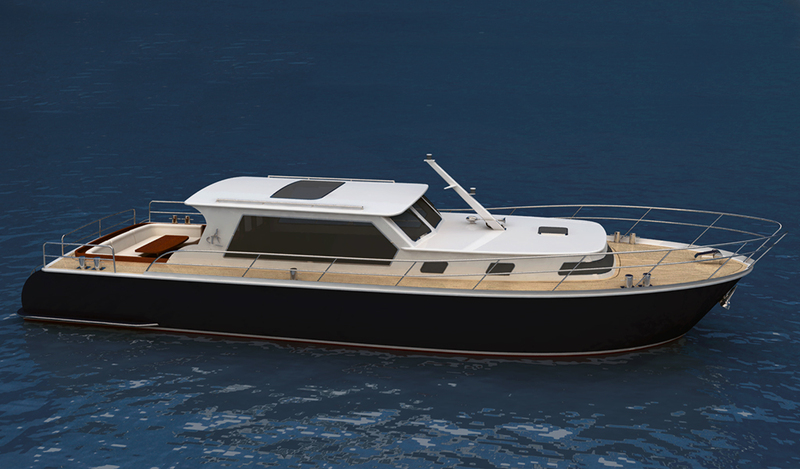 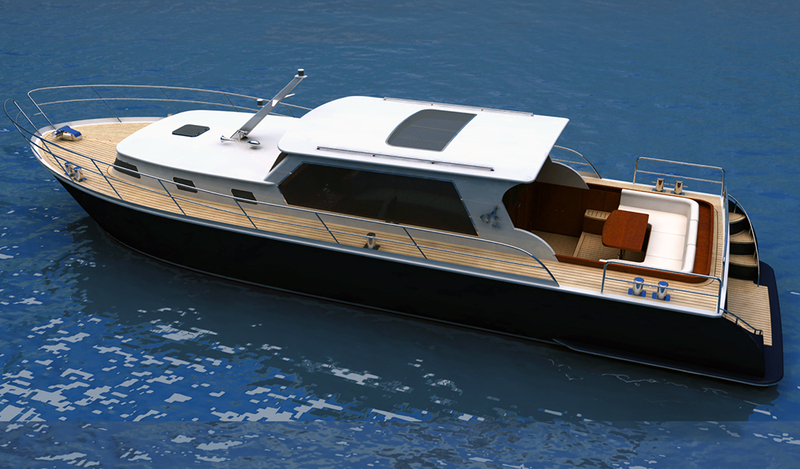 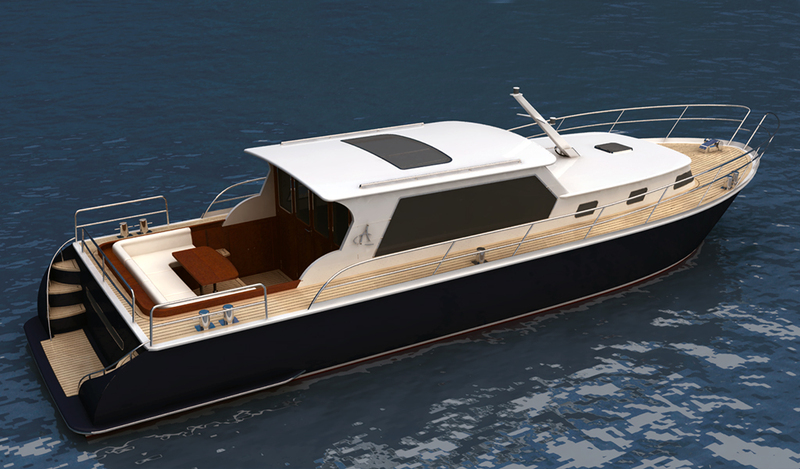 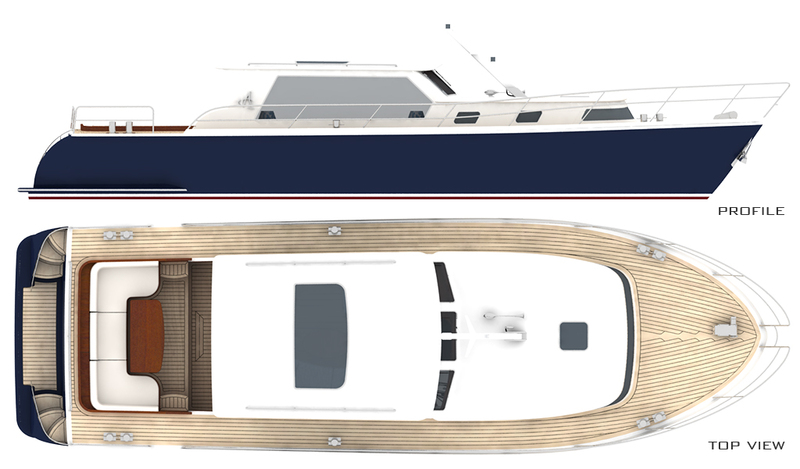 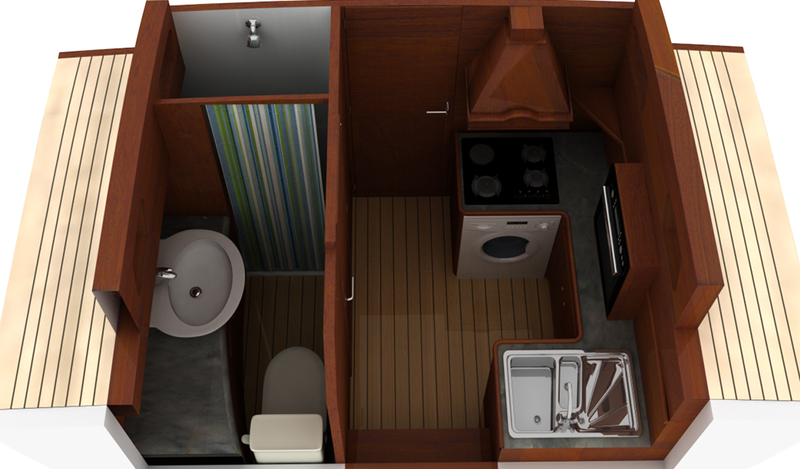 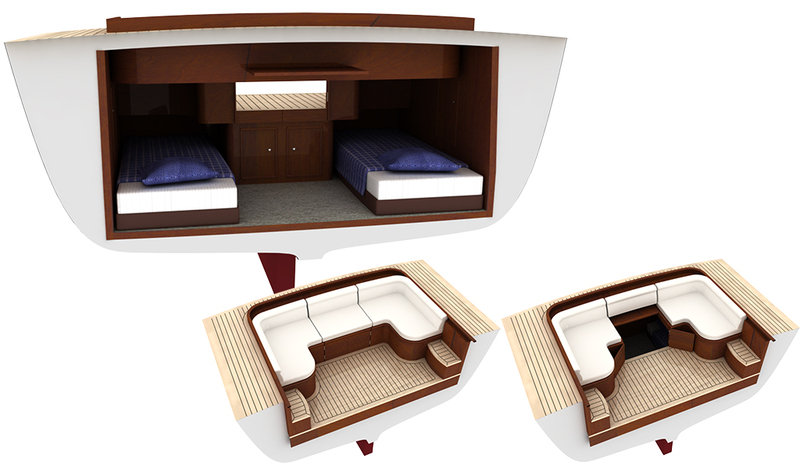 The 12.9m project is designed to create a small, modern family trawler with a spacious saloon and 2 cabins for 4 guests. 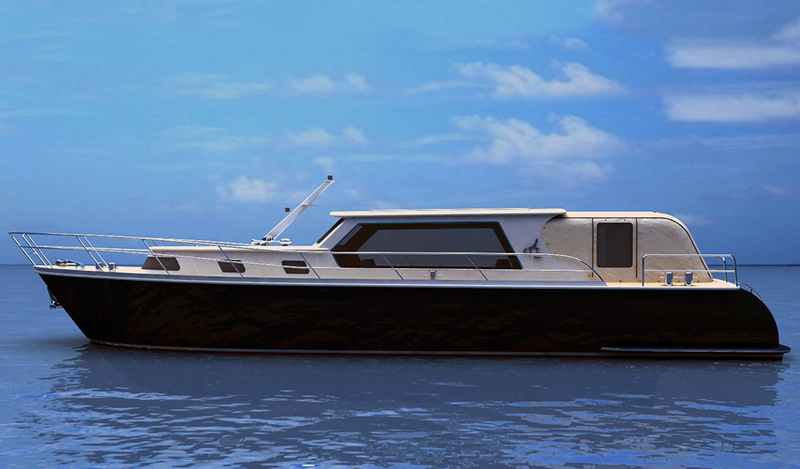 She has a modern and stylish look with some classic touches. 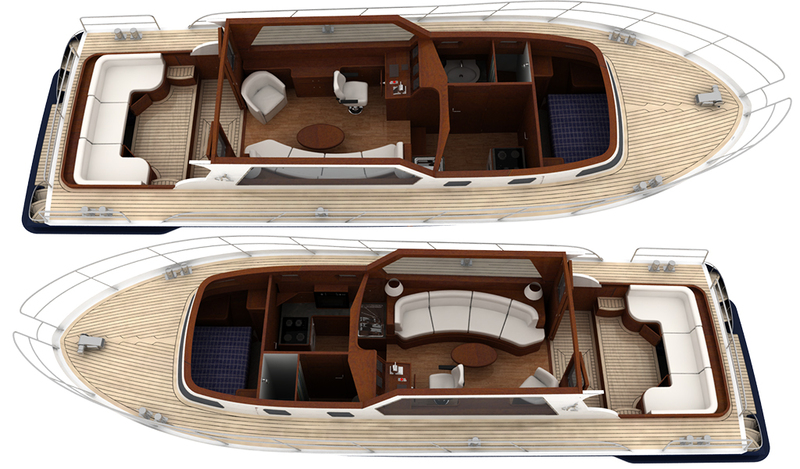 With fully-folding door it is possible to connect the saloon and aft open area to create a spacious living space. 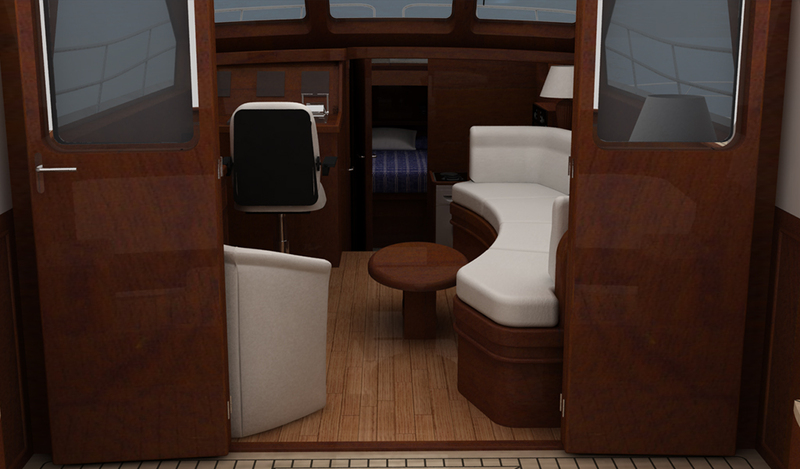 One of the cabins is situated under the aft seats.